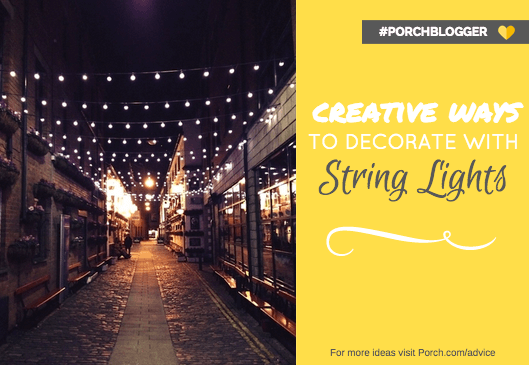 Today I’m excited to be joining with Porch.com and some of my favorite bloggers to bring you a collection of ideas for decorating with string lights. Sounds fun, yes? 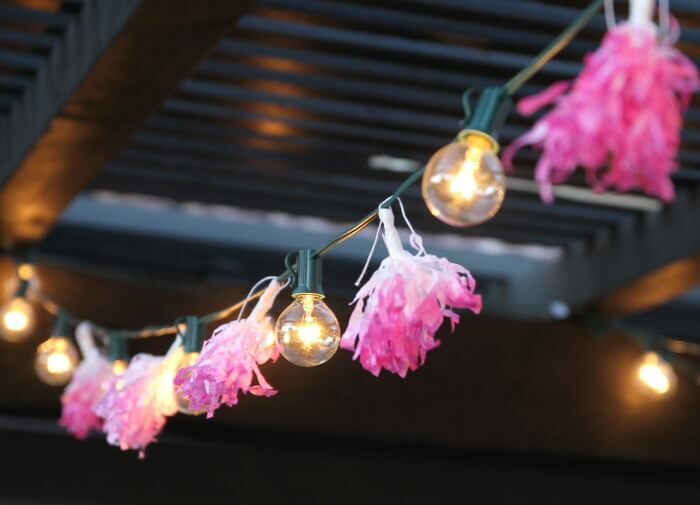 After I share my new DIY Tassel String Lights, you can find links to all the other ideas at the end of the post. String lights are kind of magical, don’t you think? Last month my husband and I were lucky enough to be able to take a trip to Paris to celebrate our anniversary. On our last night, we found a little cafe near Sacre Coeur that was down a little lane off the main plaza. We sat on the patio under a gnarly, twisted tree that grew right in front of the cafe. Across the path a man played a guitar and sang. A couple strands of string lights were draped haphazardly across the tree branches, and it was simply perfect – magic. So, as we have been working on updating our outdoor space, I really wanted to bring some of that magic into the space. How could we do it? Well, we could hire a guy to come serenade us every night, but that would be pretty complicated. 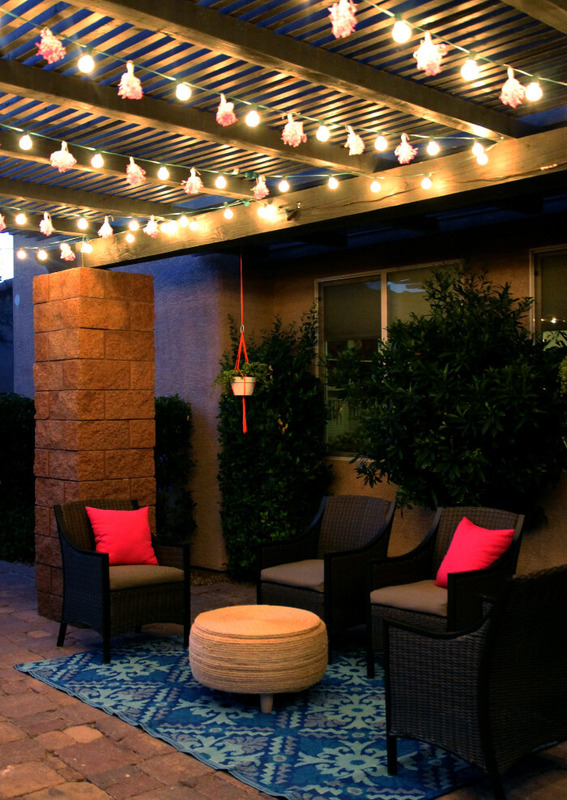 Instead we strung the pergola with string lights, and I have to say, it definitely upped the magic factor. To make my tassels, I started by cutting the crepe paper into 8″x6.5″ rectangles folded in half lengthwise. 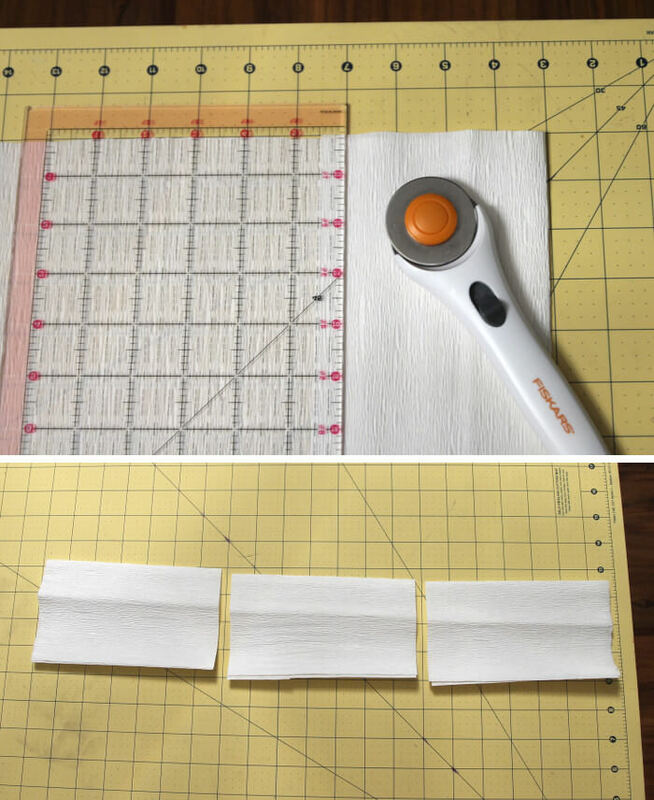 I used my rotary cutter to quickly cut the pieces. Next, I used my handy dandy fringe scissors to fringe the open (not the folded) side of the rectangle. Then, open up the rectangle and twist it up so the fringed edges are on the sides. 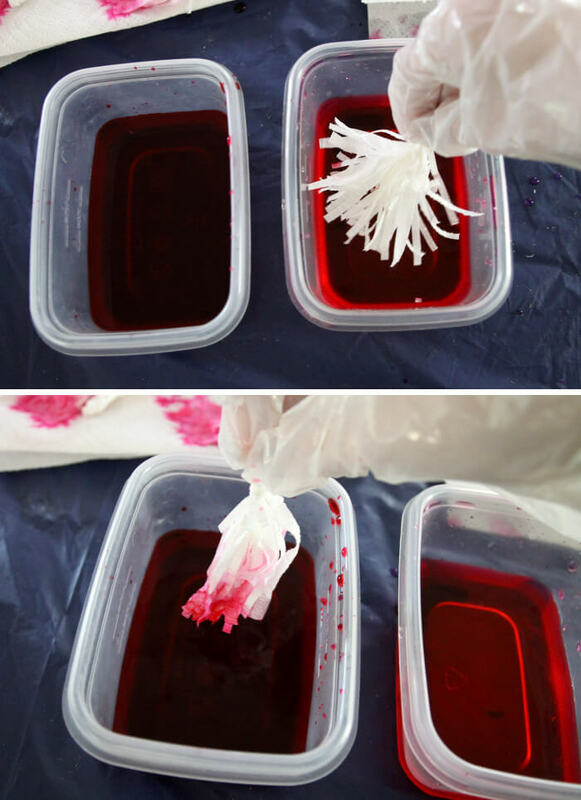 Twist it in half so there is a loop at one end and a whole bunch of fluffy fringe on the other. Secure the tassel with a piece of tape wrapped around the twist. 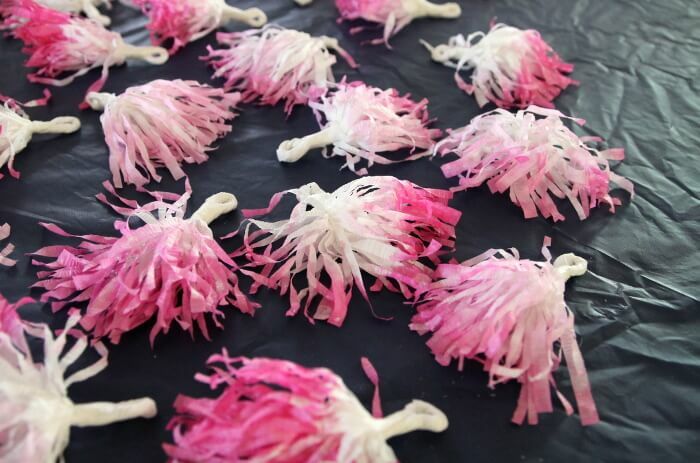 After you have a bunch of tassels made, it’s time to dye them. Be sure to protect your work surface. 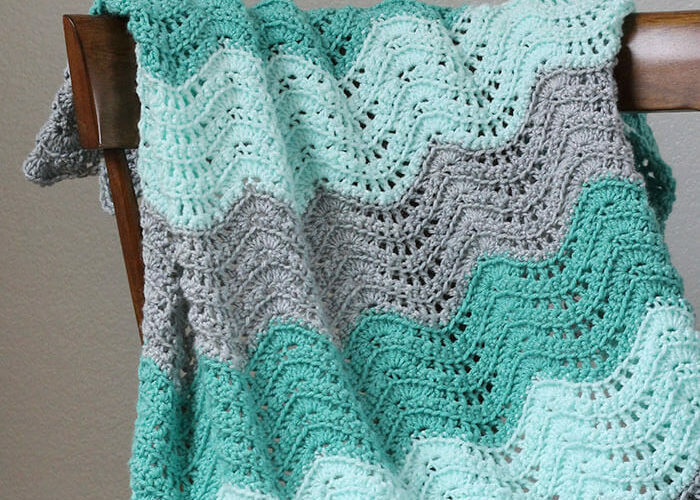 I like to use old plastic party tablecloths for this kind of project. I mixed up a two little batches of dye – one darker and one lighter. 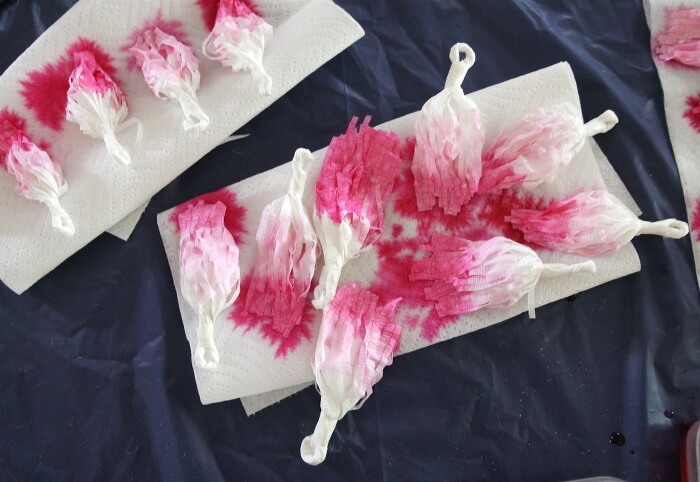 I dipped the tassels into the dye and then laid them out to dry on paper towels. 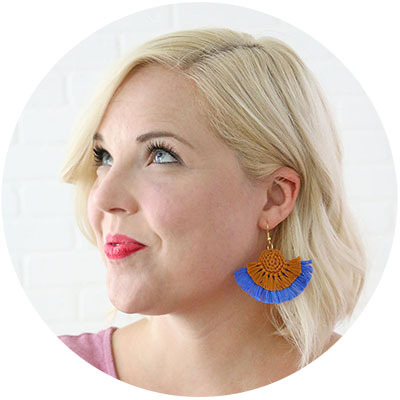 To create an ombre look, I dipped the tassels in the light color first, and then just the tips in the dark color. 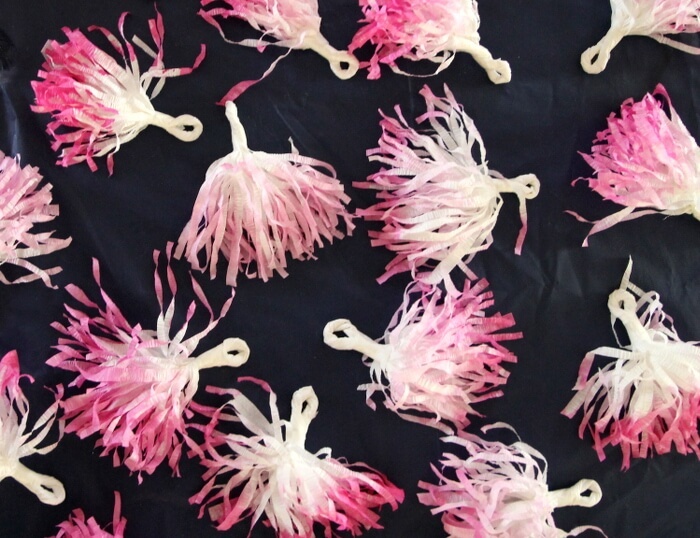 After the tassels had dried for a few minutes, I hit each one with a blow dryer for a few seconds to make sure they didn’t dry clumped together. 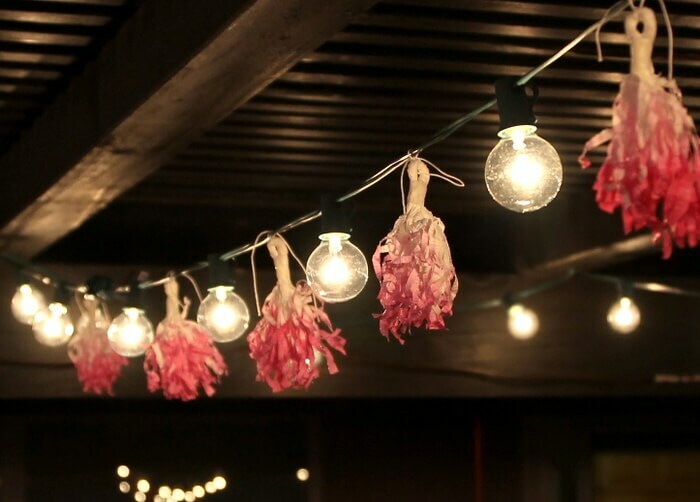 When they were all dry, I used a little piece of string to tie a tassel in between each light. 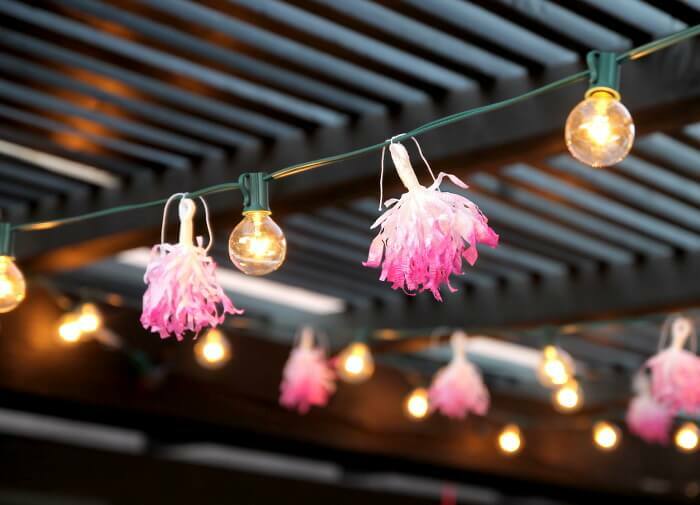 And that’s it – pretty tassel lights! 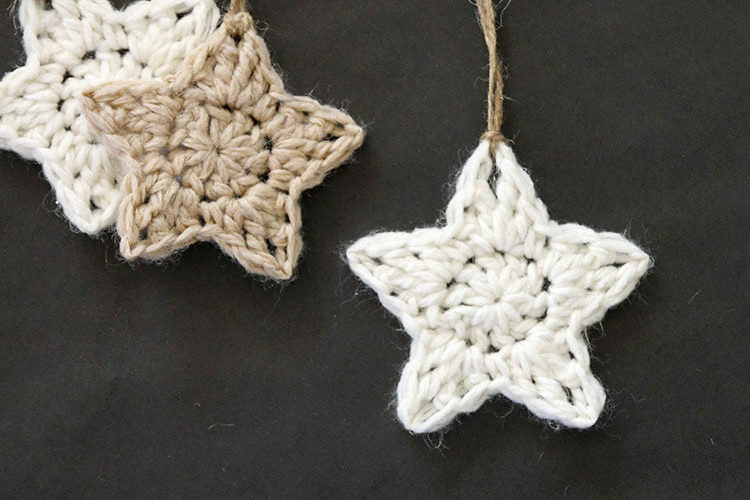 Want to check out some more creative uses for string lights? This is so pretty, love the pink! 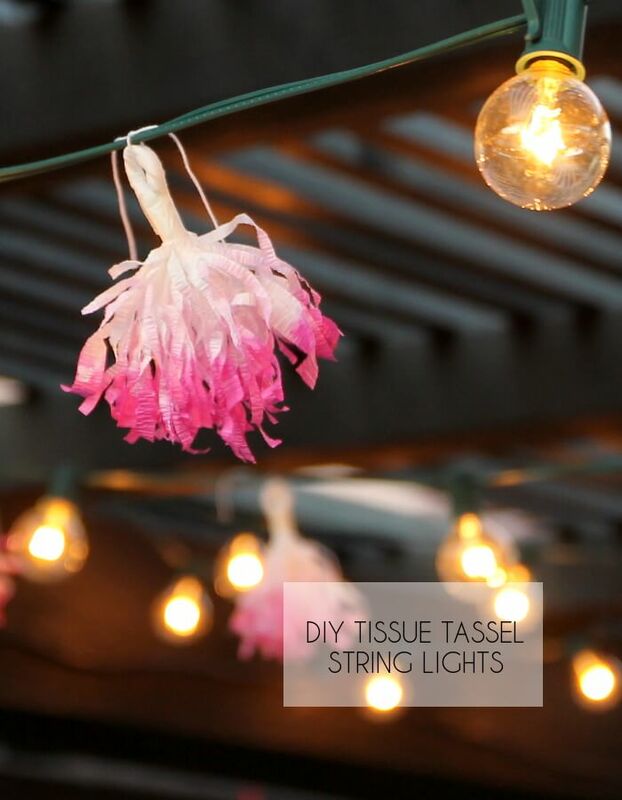 Alexis, these are super cute and your patio looks just amazing with this fun and colorful tissue tassel string lights decoration.Pinned!